Combine the egg, mayonnaise, Dijon mustard, Worcestershire sauce, salt, celery, and parsley in a large bowl and mix well. 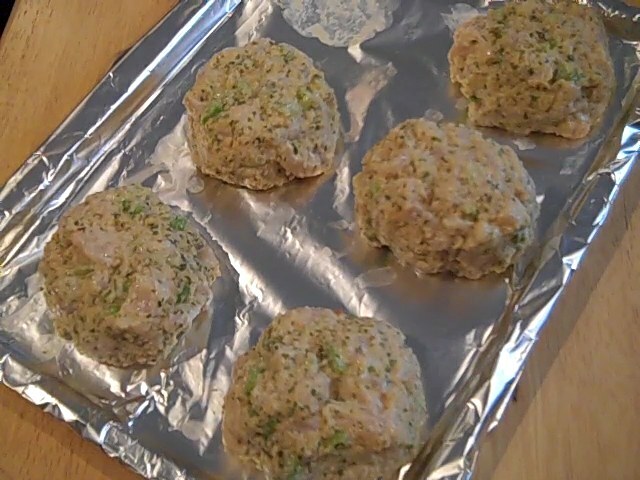 Add the fish and breadcrumbs and fold mixture together until just combined. Shape into 6 cakes (about ½ cup each) and place on prepared baking sheet. Cover and refrigerate for at least 1 hour. 3. Preheat a large nonstick pan to medium heat and coat with oil. When oil is hot, place fish cakes in pan and cook until golden brown, about 5 minutes per side (depending on how thick you make them). Be careful as oil may splatter. If you want to freeze any you don’t use, leave on the baking sheet and place it in the freezer, then the following day bag them up.